Join Robin Mark and the New Irish Choir and Orchestra for a great night of worship and praise at Glenmachan Church, Belfast. A Belfast Symphony is his brand new LIVE worship CD. 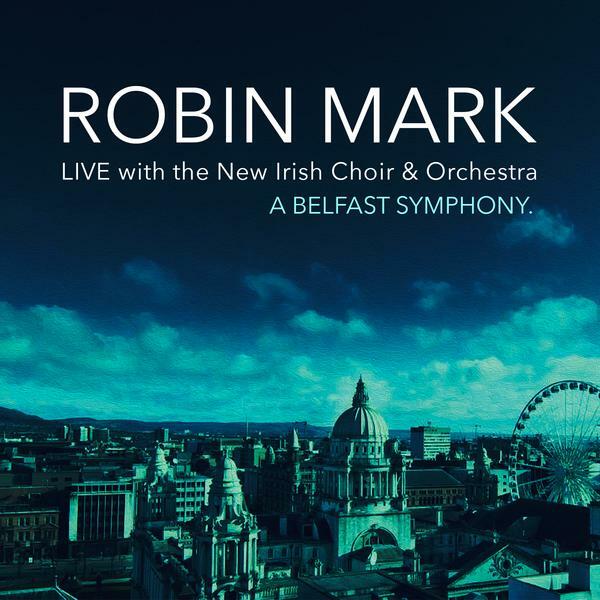 This exciting release from Robin (with his distinctive sound and song writing) features a great mix of new and classic Robin Mark songs. Robin Mark was the worship leader on the hugely successful Mandate live albums 'All For Jesus' & 'Men of Faith' He has become one of the most loved worship leaders of our time. His singer/songwriter approach to worship have helped his songs touch the hearts of believers of all streams of our faith. Full of passion and truth, Robin's singable melodies and honest lyrics represent Celtic worship at it's very best. Songs like Day's of Elijah, All to Jesus, Revival, Lion of Judah, Not By Might and many, many more are sung around the world by young and old alike.